When it comes to choosing a solution to monetize your app with advertising, chances are you’ll consider turnkey monetization solutions offering pre-defined ad format templates. These solutions are generally offered through a Software Development Kit (SDK) to be integrated into your app. Although choosing an SDK seems like the easiest and most convenient solution, it also comes with a certain number of important drawbacks. Here are 5 reasons why going through an Application Programming Interface (API) is better than integrating an SDK when it comes to monetizing your app’s traffic with advertising, and especially with native advertising. APIs add no additional and unnecessary weight to your app, which can have consequences on the performance of your app on the app store. The issue with the vast majority of SDKs is that, by being unique (as there is generally one SDK for each monetization solution), they contain a whole lot of predefined resources to display inflexible ad formats within your app. As a consequence, even if you don’t use all of the resources provided by the SDK, your app will still have to carry their weight. This is similar to going on a trip and taking your entire wardrobe along with you although you know from the start that you will only wear one pair of shorts and three t-shirts during the whole time. With an API, although you still need to program and integrate native code to display ad units, you will be able to restrain it to what you actually need. When it comes to monetization solutions, SDKs generally offer pre-defined templates to display advertising offers. These templates usually come in the form of banners, interstitials or in-feed ads. Although these formats can sometimes be customized to a certain point (font, colors), they don’t let you fully adapt the ad units to their publishing environment, which is the condition for truly native advertising. With an API, such as the one offered by PubNative, no more rigid templates: you can integrate fully customized ad formats, for instance by requesting custom image sizes. 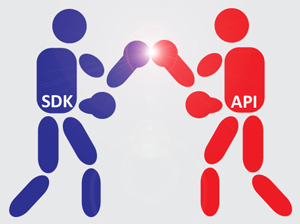 By integrating an SDK, you are effectively including chunks of external code into your app. This can cause compatibility issues both with your app’s native code as well as other, already-present, SDKs. The consequences are well known: increased development time, app crashes, ruined user experience, etc. API integrations, on the other hand, are clean and stand on their own, therefore preventing any compatibility issues with your app’s code. PubNative’s platform API adapters can be easily accessed from our open source Github project. A lot of apps are nowadays built with the help of a coding framework, such as Unity or Cocos2D-x. APIs, contrary to SDKs, don’t need to be compatible with the framework with which the app was built in order to work. In this sense they are framework-agnostic. On top of this, APIs work with HTTP requests, which are extremely versatile and can used both by native apps and mobile websites. SDKs are external pieces of code injected into your app, which communicate with a third-party server (in other words, only work client-side for you). This means that SDKs cannot function with server-side functionalities of your app, such as content management systems (CMS). 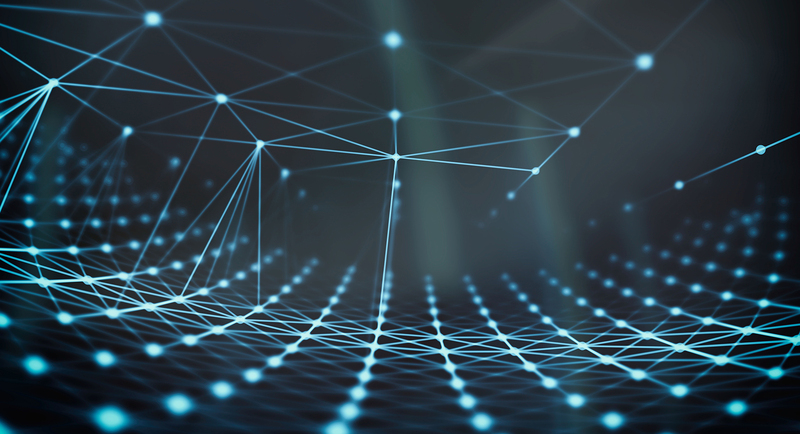 APIs, on the other hand, work both server- and client-side, meaning they allow you to keep the flexibility to use your own server tools, or not. Want to know more about monetizing your app with native advertising without the burden of integrating an SDK? Contact us to learn more about PubNative’s API!